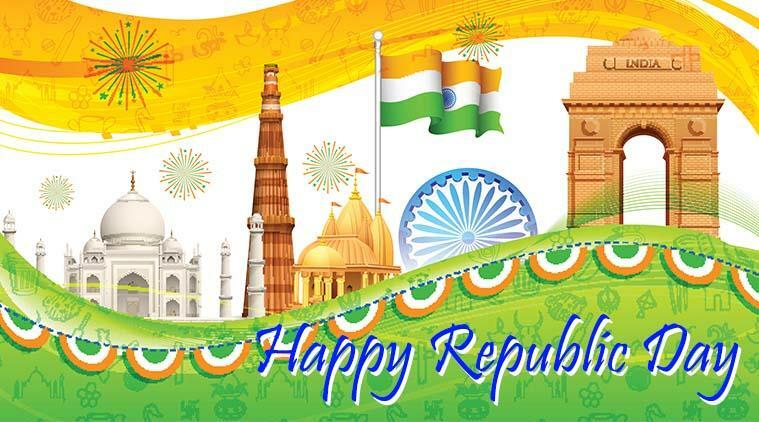 On this occasion of 70th Republic day let us rejoice in the glory of India and its ancient cultures and take this opportunity to remember those great gritty freedom fighters who lost their lives for us to breathe fresh air and enjoy freedom. ''Freedom and purity in mind, strength in word and sincerity in action'' must be the watch words of our Nathas (politicians). Then only we can take the country forward and improve the quality of life of every Indian across India. Only last week at a local General store I heard young school-going children take about their compulsory participation at the ensuing Republic Day celebrations at their school ground and I found them more enthusiastic, as it was natural for kids of their age, about their planned Cricket match between two groups on the afternoon than participating in the school celebration. From their amusing rumination, I realized none had any idea about the difference between India's Independence Day (15 Aug. 1947) and Republic day (26 Jan, 1951) and, apparently, they were quite ignorant. My assumption is many high school students may be in the same position - not an inkling of why Republic Day is celebrated. On August 15, 1947 India became a free country having been in shackles under the Colonial rule for more than 200 years - a dark era of racial discrimination, destruction of cottage industries, exploitation of Indian lands and labor, and their natural resources. It was done without any remorse by the British colonists for the benefits of Brittan. The Independence Day is a grim reminder of our long-drawn freedom struggle and of great freedom fighters and revolutionaries in thousands who sacrificed their lives to see our nation become free. Keeping that in mind we must strive our best to preserve our heritage, national treasures and ethos of this country that had seen several upheavals since the 13rh century. union, the constitution of the country was adopted and the country was declared a Republic. The country got separated and was recognized by the comity of nations as a separate country but it still followed British constitution and accepted British Monarch as its head. 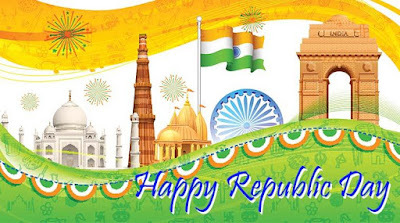 It was only when India adopted its newly ''written'' constitution on 26th January 1950 that India became a Republic. This is why 26th of January is celebrated every year as Republic Day across the country. 01. 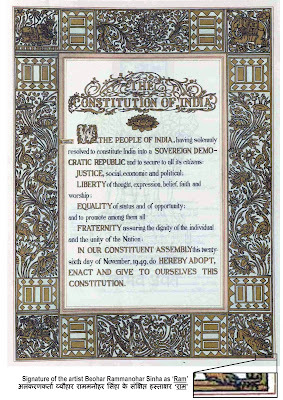 The Constitution of India is, perhaps, the longest written Constitution in the world. 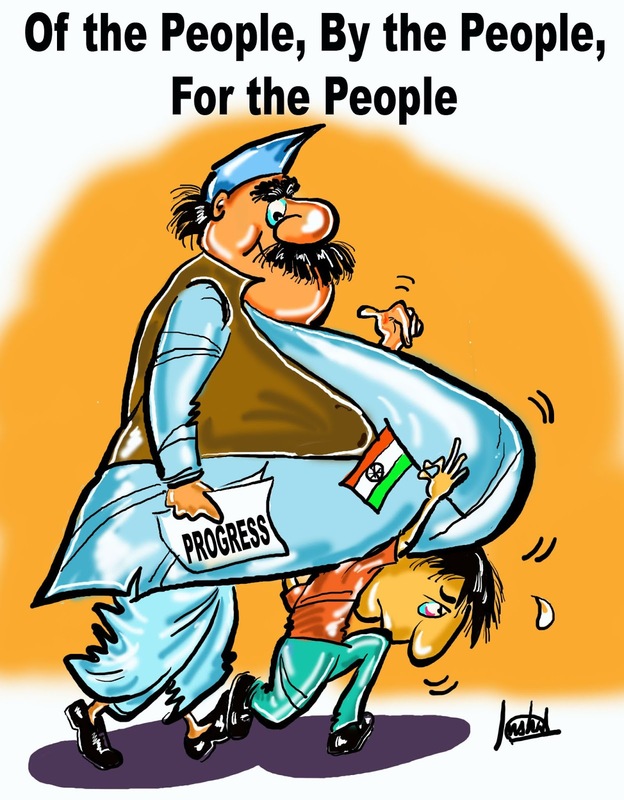 It replaced the Constitution of India of 1935. 02. It is so lengthy, not a single day is required to read right from the Preamble of the constitution to the end. 03. The constitutional committee took around 2 years, 11 months and 18 days to complete the work. 04. The following framers of the Indian Constitution are worthy of mention as they did a great service in completing the mammoth job under Dr. Ambedkar as the chairman of the committee. M A Ayyangar: Represented Madras, Dewan Bahadur N Gopalswami Ayyangar: Represented Madras, Dewan Bahadur Alladi Krishnaswami Ayyar: legal luminary Represented Madras, Jairamdas Daulatram: Represented East Punjab, Shankarrao Dattatraya Deo: Represented Bombay, Shrimati G Durgabai: Represented Madras, T T Krishnamachari: Represented Madras, H C Mookerjee: Represented Bengal, K M Munshi:legal luminary, Represented Bombay, Saiyad Mohammed Saadulla: Represented Assam, N Madhava Rau: Represented Orissa, Satyanarayan Sinha: Represented Bihar, and B Pattabhi Sitaramayya: Represented Madras. Benegal Narsing Rau (B.N. 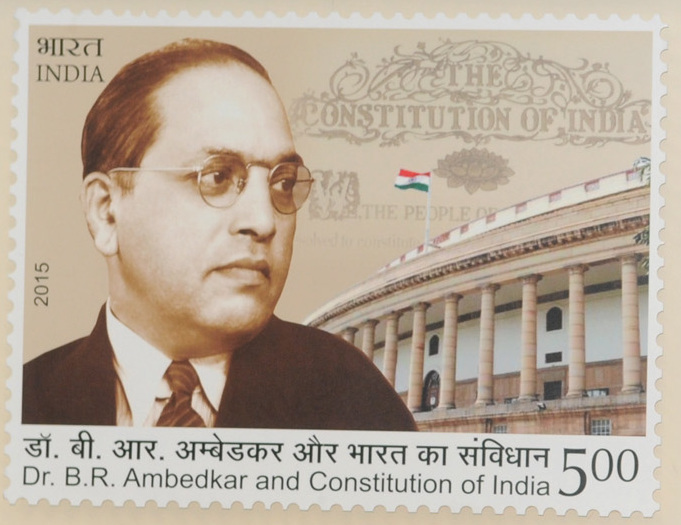 Rau): a reputed administrator and knowledgeable person was not a member of the assembly but played a key role in the framing of the Constitution as Dr Ambedkar himself. 05. The framers of the constitution secured the consensus among the assembly members so that the Constitution could be agreed upon in a timely manner; they covered matters like judiciary, minority and fundamental rights, federalism, etc. 06. Dr Rajendra Prasad, President of the Constituent Assembly signed the Constitution on November 26, 1949. 07. It imparts constitutional supremacy (not parliamentary supremacy, since it was created by a constituent assembly rather than Parliament) and was adopted by its people with a declaration in its 'preamble'. Parliament cannot override the constitution. 08. 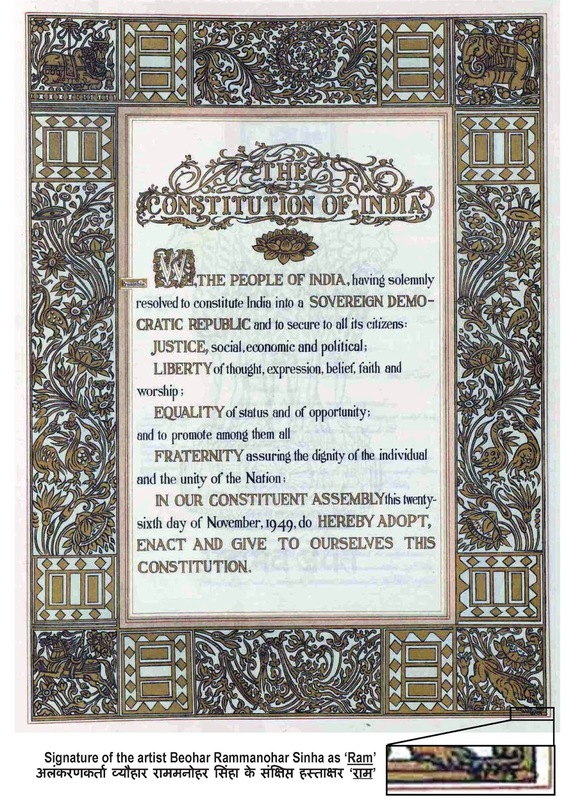 The Constitution of India has incorporated “448 Articles in 22 Parts, 12 Schedules and 97 Amendments”. 09. Two copies of the Indian Constitution were hand-written, one in English and one in Hindi. 10. Both hand-written copies of the Indian Constitution were signed on 24th of January in 1950 by around 308 members of the Assembly. 11. Both Hindi and English Copy of the Indian Constitution are kept safely in the helium-filled cases at the Library of Parliament House. 12. It was one Abid Ali in 1911first translated into Hindi language the national anthem ''Jana Gana Mana''. 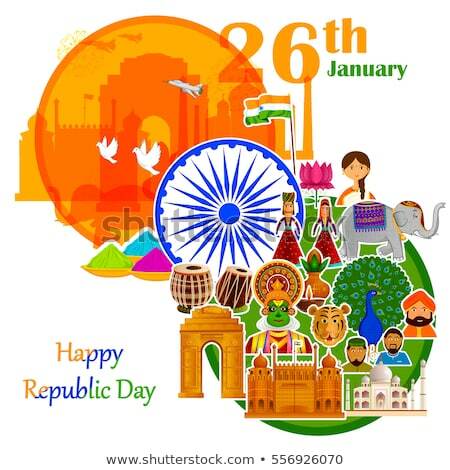 Later officially it was adopted as National Anthem of India in 1950 on 24th of January. 13. The Republic Day Celebration is for 3 days and ends with a ‘Beating Retreat’ on 29th January. It will be held at Vijay Chowk with the bands of Indian Army, Indian Air Force and Indian Navy performing. 14. An interesting fact is the inclusion of a Christian song, ''Abide With Me'', which is played at the Republic Day Parade. 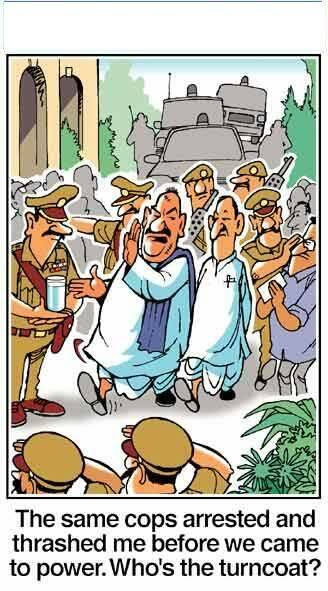 It is believed it was at the request of Gandhiji. 15. The Indian flag, by law, should be made of ''khadi'' cloth and in specified sizes. can be only made in nine specified sizes. 16. Flying an Indian flag made from any material other than khadi may invite 3 year jail term and fine. 17. As in many countries, the Indian flag should never touch the ground or water, or ever be used as drapery. 18. The tradition has been that a 21 gun salute is fired as the President of India unfurls the tricolor, as a naval and military mark of honor. 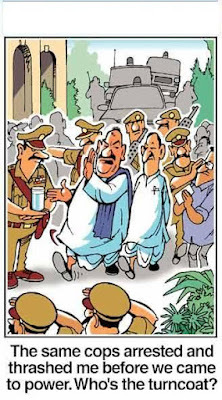 Perhaps, a legacy of Colonial rule that introduced ''Salute States'' (Princely provinces), depending on their extend of land, money power and more importantly, their degree of cooperation with the British Bobs who ran the administration.